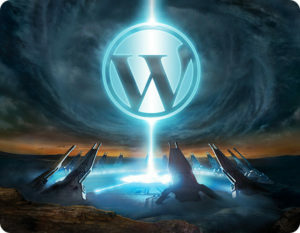 WordPress experts Perth can create your own unique, fast loading websites, blogs, portfolios, and online stores using the web’s most popular publishing platform – WordPress. It is an open source flexible content management system (CSM) that is widely used by artists, bloggers, and other business-related enthusiasts. it is also extensible. There are thousands of templates and plugins that you can use to impress your viewers with its unique look. It is easy and accessible! Wherever you are, you can easily open, customise and manage your website, blog, portfolio, or etc. It is SEO friendly which ensures that your content is optimised for search engines. You can add photos, video, music and other documents. It’s easy, fast, and secured, which will bring the best out of your website content. Together with Aleph IT WordPress experts Perth, we guarantee to bring your creative ideas and stories to reality. We will make sure that you will get the most out of your content management system (CMS) of choice. Our goal is to provide you a website with optimal features and functions, and with excellent performance. In using WordPress as web application Perth, it is easy to build and manage websites that are high on traffic. This will result in an increased revenue for you. Our experts can create WordPress themes and plugins from scratch or from provided designs to give you a responsive website. All of our websites are built to load fast and are translatable. In addition, we can take a thorough look in your current website if it is built professionally. With our WordPress experts, we can make your website in Perth faster, more efficient, and more captivating. We want to give you the best WordPress service there is. Whether it is single website or a network of sites for your business, our WordPress experts Perth are always up and ready to help you! Give us a call today and experience an optimised, secured, and up-to-date WordPress experience. This entry was posted in Web Design and Development and tagged wordpress expert, wordpress experts for hire.